No matter what climate our windows and doors are installed – they contribute to a cozy and comfortable atmosphere in your home. In a contemporary air-conditioned building, windows with a low thermal conductive material can reduce the loss of energy according to the fact that 37% of interior energy loss is through the window. 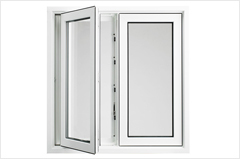 The design of Plasowin Windows are multi-chambered profile with tight seal are the best windows in noise separation. 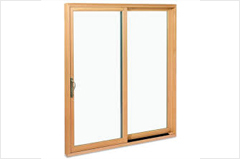 An average sound separation of 22-25 dB in single glazing, 30 – 35 dB in double-glazing. It brings tranquility and cut unnecessary disturbance especially favored & widely used in Hospitals, Schools and office buildings. Plasowin uPVC doors & windows make the house DUST FREE as the windows have an overlapping feature therefore the Sash & frame overlap each other ensuring no dusts come inside the house. These windows have an EPDM in the entire Frame and Sash ensuring a completely dust free and air tight window. Therefore after installing these windows the need of cleaning in a house reduces. Apart from the above it also does not allow germs to come inside the house hence improving the quality of Life. The prices of our products are very economical even when compared to the other alternates available in the market and apart from this it also delivers many other advantages. This is the reason PVC takes more and more market share from other materials in its applications. A. uPVC Doors & Windows works out cheaper in the long run. Our windows are energy saving windows & can save up to 30 – 35 % electricity. Therefore making the cost of the window free of cost during its lifetime. Apart from the above these windows do are maintenance free & do not need painting & polishing therefore reducing the cost one has to incur over a period of time. Our windows do not need any maintenance as they do not warp unlike wooden windows which expand & contract in rainy seasons need regular repair & maintenance. In long term our u – PVC Doors& Windows almost return back the initial investment made on them & hence making it free of cost during its lifetime. it’s closed, smooth surface means that it is extremely easy to clean using gentle household detergent dissolved in water. This also means that the product is virtually dirt resistant because there are no pores, which can be filled with dirt. These windows don’t require and pain & polish unlike traditional wooden windows and save a lot of cost and hassle. Plasowin uPVC Windows material absorbs water below 0.1%. Moreover the uniquely designed weep hole and weather-stripping in the meeting rail provide water resistance proof. These windows have a drainage system and ensure that the water is drained out. It does not allow any water to come inside the house and spoiling the paints and the flooring. Fire tests have shown that Plasowin uPVC materials, being naturally flame retardant through their product life, will not cause, support or enhance the natural development of fire. 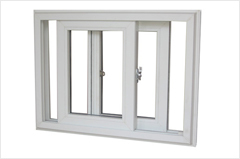 Unlike timber windows, the uPVC sections do not support combustion are in fact self-extinguishing. This quality prevents the promotion of fire spread. It has got an “A” class fire rating. For this reason, Plasowin window systems offer considerable fire protection. Therefore, Plasowin profiles are an effective means of preventive fire protection. Highly weather resistant quality is achieved by anti-ultraviolet and high impact resistant formulation. It can withstand long exposure in extreme weather change under scorching sun, storms, dryness, high humidity. 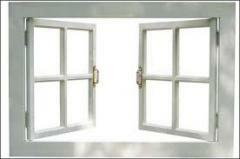 No brittiling and quality deterioration occurs in our windows. 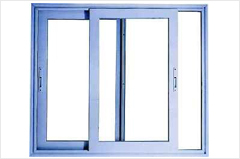 Even in special conditions like coastal areas (salt, storm, sun) uPVC is more applicable. They do not rot, corrode nor warp and even after many years, the windows are still attractive, perfectly tight and working well. Due to their excellent material properties, Plasowin uPVC windows and doors are ideal for being installed in buildings close to the sea where they are permanently exposed to strong winds, heavy rain and salty air. Our profiles are uniquely designed specially formulated to withstand high impact. 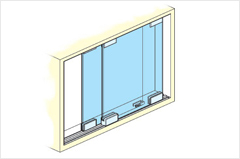 Therefore, Plasowin profiles can also be fitted in high rise buildings without any problems. The weather-stripping in the windows at the meeting rail provides maximum seal. This low air-conditions and hence saves energy. We use a high performance compound used and developed exclusively by us therefore increasing the longevity and superior quality of our uPVC Windows & uPVC Doors Our own material compound performs to worldwide standards for strength, durability, head stability, color retention, and termite resistance. This fact provides an additional margin of safety to the quality of the product during fabrication, installation and service. 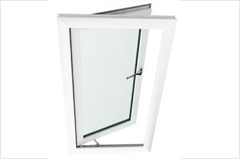 Plasowin windows are easily operated under any weather conditions due to its low thermal expansion coefficient (3×10-5cm/C/cm). 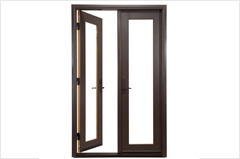 The extrusive process of uPVC Doors & Windows profiles is relatively energy efficient, compared to other materials. Another benefit: where PVC has been specified as an alternative to wood, the rate of forests is slowed. uPVC Doors &Windows systems are environmentally friendly as they can be fully recycled and reused for the production of PVC profiles. Every window we make is tailor-made for your home to virtually any width and height you need.